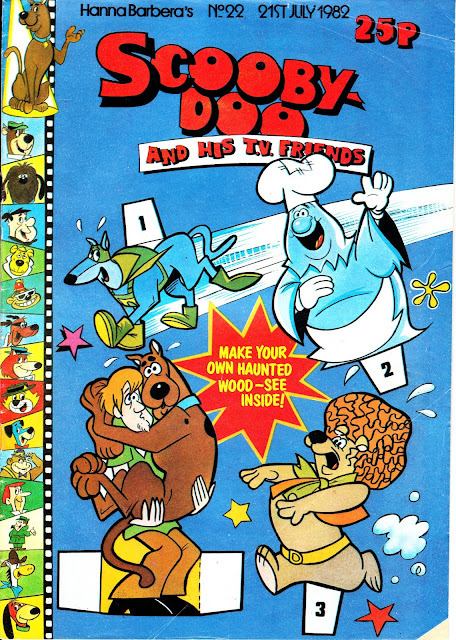 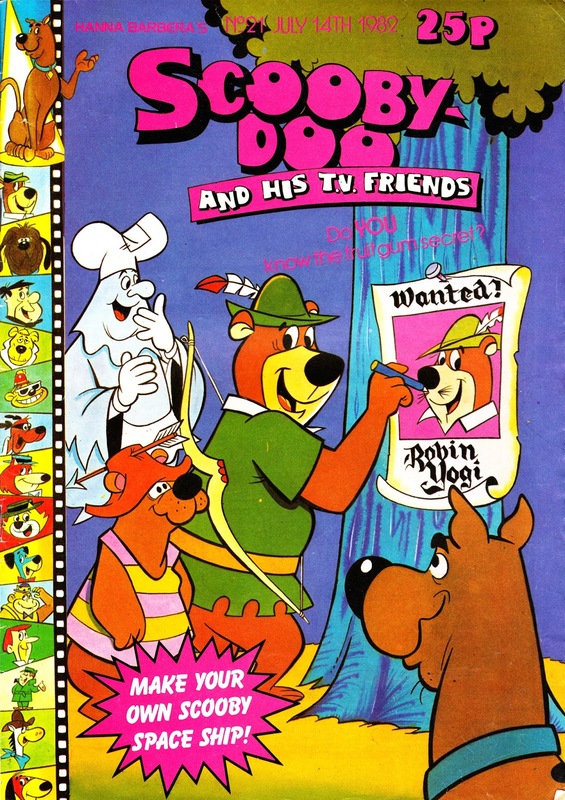 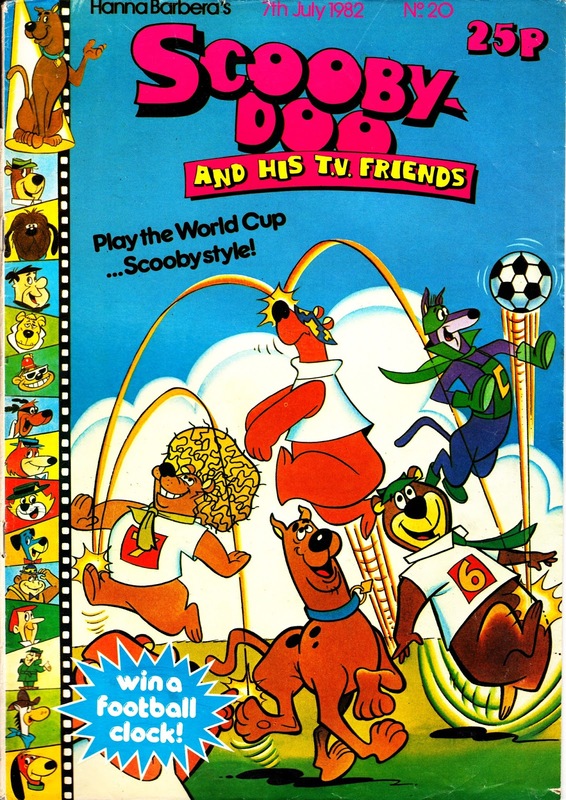 My weekly dip into the more obscure recesses of the MARVEL UK vaults has unearthed another four issues of SCOOBY-DOO AND HIS T.V. FRIENDS, from the Summer of 1982. Phrases you don't often say - or read: "Make a Scrappy-Doo mask". 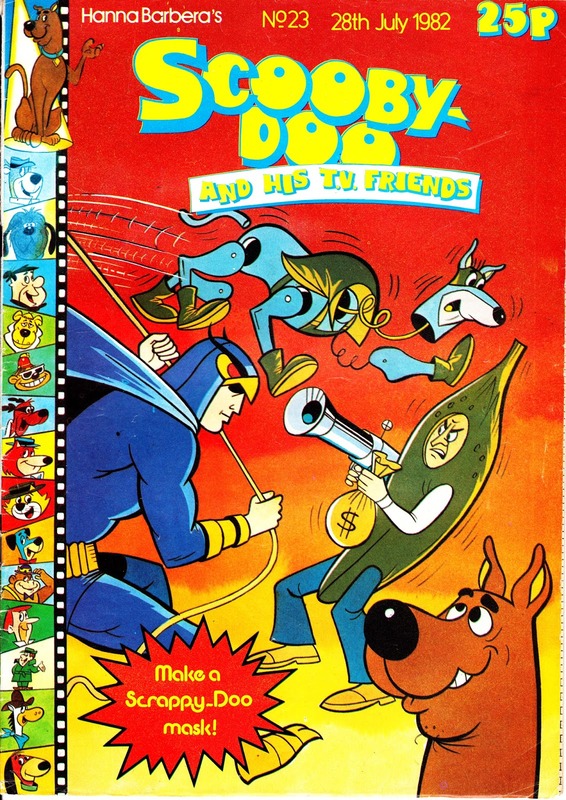 Only in comics.